Vivienne Westwood is ready to rein in fashion empire for the good of the planet. "I have decided not to expand any more. In fact I want to do the opposite," she told the Observer on Saturday. "I am now more interested in quality rather than quantity." 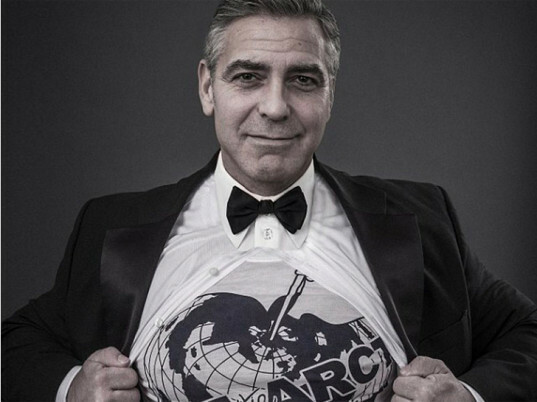 The legendary British designer, who is launching a celebrity-led campaign, backed by the likes of actor George Clooney, Coldplay frontman Chris Martin, director Terry Gilliam, and model Georgia May Jagger, to promote Greenpeace's "Save the Arctic" initiative, said she wanted to focus on preserving and improving what her label already has, rather than capitalize on her recent success in China and the United States. Shot by award-winning photographer Andy Gotts, Westwood’s latest initiative is an example of her shifting priorities. 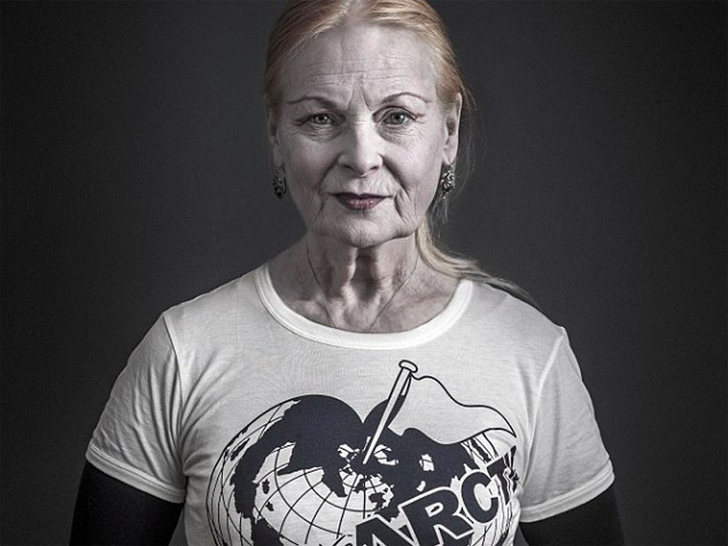 Westwood’s “Save the Arctic” T-shirt is available for purchase online at www.viviennewestwood.co.uk. An important project. BP keeps advertising its interest in safety, but all the drilling it's doing in the Arctic is anything but safe for the environment. I cannot find any info on the eco-credentials of the 'SAVE THE ARCTIC' tee shirt. Details of fabric type and origin, fabric dye, printing inks and place of manufacture would be good. My thoughts exactly. I wanted a T but realised there is no reference to its manufacture being ethical or eco friendly??? ?